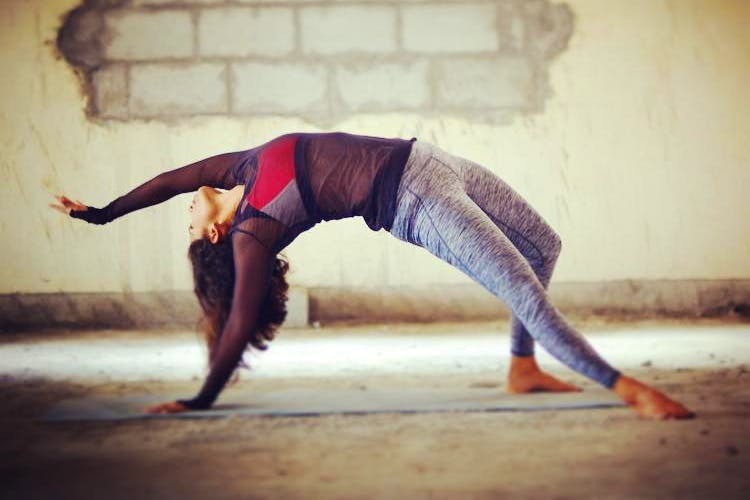 With the help of Yoga, Martial Arts, Aerobics and Strength Training Vasudha Aggarwal shed her weight layer by layer. Think you can’t do it? Well, think again. Vasudha Aggarwal was a swimmer for several years, before a ruptured eardrum stopped her from her favourite activity. Due to the sudden lack of physical activity, she found herself rapidly putting on weight. She went from 52 kilos to 72 kilos in a span on just three years. After this drastic weight gain, she decided to start working out. She began with cardio workouts through Bollywood Aerobics at Figurine Fitness where she became an instructor herself. However, eventually she realised that while she was losing weight she was also damaging her ankles and tendons. At this point she shifted her focus to strengthening her body. She turned to yoga as a natural and healthy form of exercise at a1000yoga and became a yoga instructor too! What a woman right? But that is not the end. She then moved on to Les Mills’ Body Combat and Body Balance classes, both focussing on functional fitness and core strengthening through an integration of martial args, Tai chi, and even Pilates. After this, she joined Cross Fit Gym in Koramangala, where she focused on cardio, strength training, power training, flexibility, gymnastics and weight training. Today, she follows a work out plan of three to four hours of cardio, 3 hours of strength training and 3 hours of yoga per week. Oh, and the cherry on the top is that she owns a gym called The FIT District devoted to body strength and fitness. So you can definitely do it too and what’s more, you could do it with her help! To sort out her diet, Vasudha turned to dietician and friend Priyanka Bhattacharya, who suggest she break down meals into five small ones through the day. These meals consisted of meat for protein content, a lot of vegetables for vitamin and carbohydrate content and even a piece of dark chocolate. Skipping meals were a no-no, so cheat days weren’t even required! She would also incorporate curd and dry fruits into her diet. One of her favourite places to eat when in the mood to go out is Military Malnad, which serves Mangalorean cuisine. Her favourite is their neer dosa as they are steamed and low on carbs! She also enjoys steaks, because the meat is grilled and you can also eat plenty of veggies minus the carbs. Her favourite haunt is Truffles for steak!